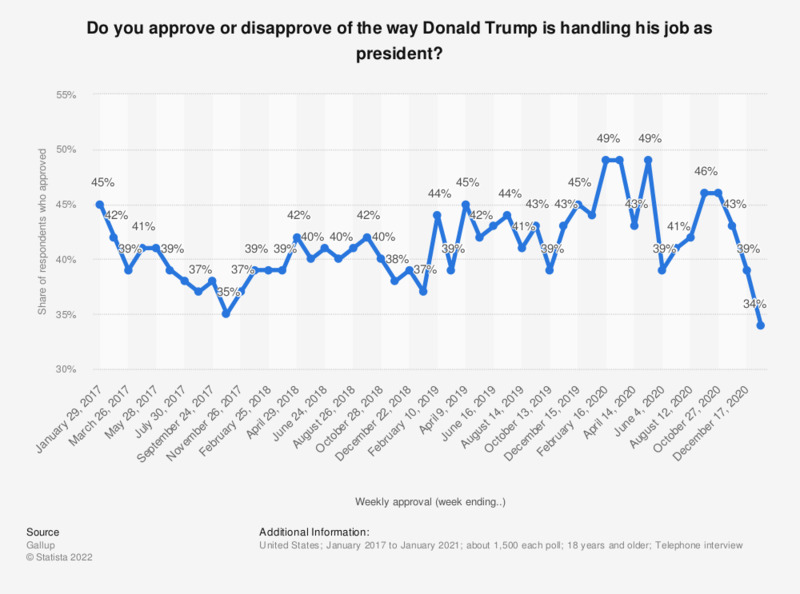 This statistic shows the job approval ratings of U.S. president Donald Trump on a weekly basis during his time in office since 2017. The survey is conducted by telephone interviews among about 1,500 adults per month in the U.S. The graph shows the results for the weekly aggregate. About 39 percent of the American public approved of President Trump's doings during the week ending March 10, 2019. For presentational purposes not all weeks are shown. No survey data was available for January 2018. UK survey: Do you agree that Asian products will be banned in the US as a result of Donald Trump's presidency?